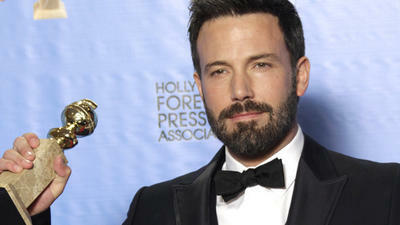 Ben Affleck is enjoying life now that he has another Oscar in his cupboard full of trophies and awards he has won throughout his career. The actor has confirmed he’ll be taking a break from the film industry now that he has another Academy Award behind his belt – because everyone knows if you don’t take a break sooner or later, your movies will end up being crap. Yes, when you overwork yourself, you tend to drift off course, so Ben is doing the right thing by relaxing at home and eating a lot of ice cream… he’ll then get fat, go to the gym and feel like a new man. Haha! We kid, we kid. But on a serious note, it’s great to see the actor doing this; now he’ll get to spend more time with his children and his wife Jennifer Garner – who were rumored to be splitting up last month. Good for him, we think that every actor needs a break, especially once they have won something as big as an Oscar. That’s pretty much the highlight of a career. So in order to do that again and again and again, you need to refuel your energy by just relaxing a little and enjoying your life with family and friends before you get back to work and hope you can win another.